Small-business owners are shaking off the last dregs of the recession, and want to work from smaller spaces. These businesses can range from plumbers and electricians, to auto technicians, to research and development companies. One huge advantage of a multi-tenant industrial property is it can be hands-off. Leases for such a facility can range from net (in which the tenant pays at least a portion of the property costs, in addition to monthly rent) to triple net (in which the tenant pays 100% of the costs, including taxes, maintenance and improvements). A lot less could be coming out of your pocket for upkeep and maintenance. Finally, demand is ramping up, while supply is limited. At a vacancy rate of 4.8% in the fourth quarter of 2018, industrial vacancy is 120 basis points below the 5-year historical average of 6.0% for all industrial property types.6 Tight markets may lead to the ability to push rents, which in turn has the potential to drive a higher risk-adjusted return. As with any kind of real estate, there are risks. Multi-tenant properties are no exception. Here are things to watch out for. Geography. Multi-tenant industrial space is popular among entrepreneurs who are just getting started. If your geographic area doesn’t have much in the way of new talent, you might want to reconsider that investment. Shorter leases. While tenants in these smaller industrial properties can be signed to net leases, those agreements might range from only 3-5 years. Certainly, this gives you the opportunity to increase rents. It also means your tenant could vacate, giving you the headache of having to find another one. Tenant Improvements. One benefit multi-tenant industrial space offers to tenants is that it’s flexible, and can accompany a firm’s growth or decline. However, this change in workspace – the tenant improvements – could come out of your pocket. Economically Volatile. When times are good, your property could attract demand. But this is not a recession-proof property type. If the economy dips, so could your tenant base. It’s true that multi-tenant industrial properties could provide an attractive risk-adjusted return for little out-of-pocket costs. Making this asset class work requires in-depth research to ensure generation of enough income to meet your financial goals. 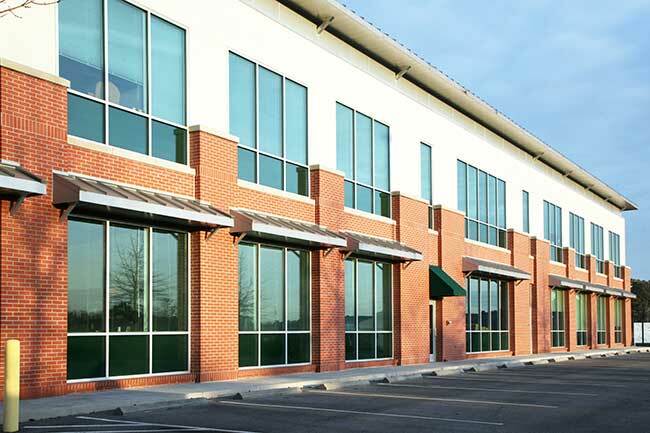 Need help determining if a multi-tenant industrial property is the right investment for you? At Realized 1031, we can provide you with insight about these specific assets, and others. For a free consultation, log on to www.realized1031.com, or call us at 877.797.1031. NAIOP Terms and Definitions: North American Office and Industrial Market. Commercial Real Estate Development Association. Excerpts from Chapter 1: Guide to Classifying Industrial Property. Urban Land Institute. National Real Estate Investor. Demand for Light Multi-Tenant Industrial Product Is on the Rise. September 29, 2017. Don Ankey. Multi-Tenant Infill Industrial: Unicorn of CRE Investment. Commercial Property Executive, March 1, 2017. 2018 Pricing. Commercial Property Executive, November 9, 2018. Cushman & Wakefield. U.S. Industrial Marketbeat, Q4 2018.